Vacation...what a wonderful word. 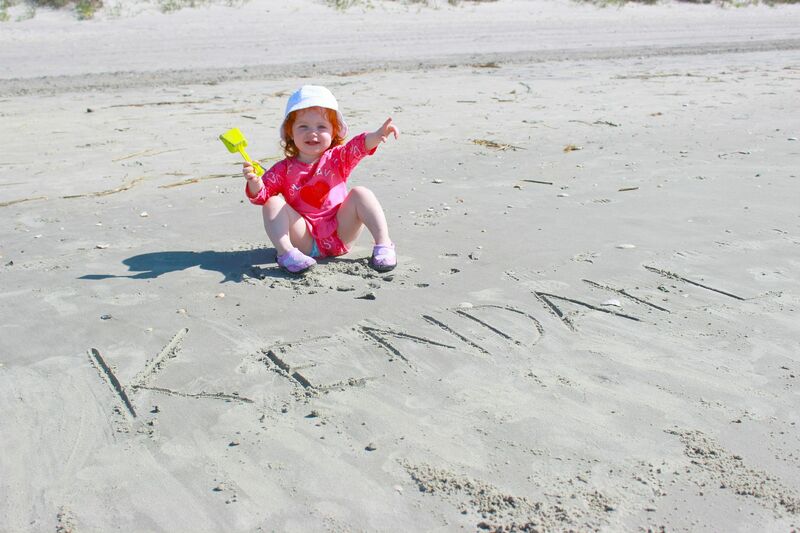 We are currently at the beach with my parents, my sister, brother in-law and nephew and we are having a blast. 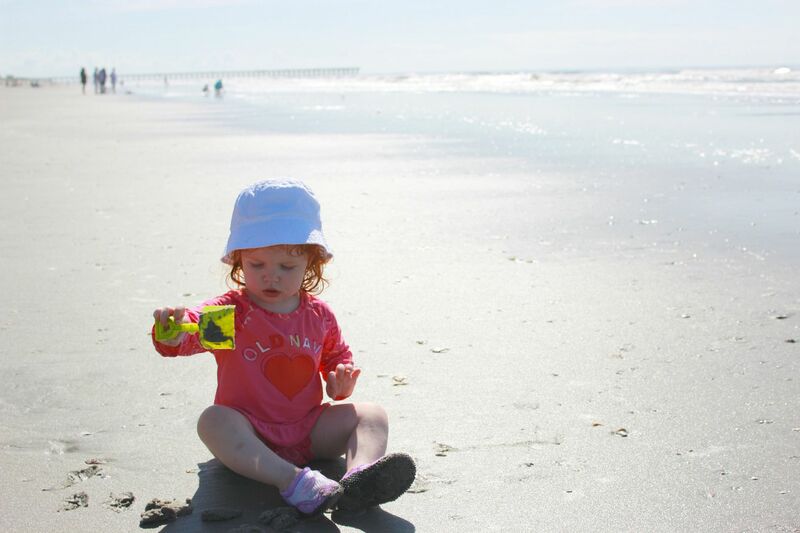 This trip is Baby K's very first visit to the beach and I have loved every second of watching her experience all of these new things. I'm taking an embarrassing amount of pictures which is ok in my opinion because she will only be this young and carefree once. 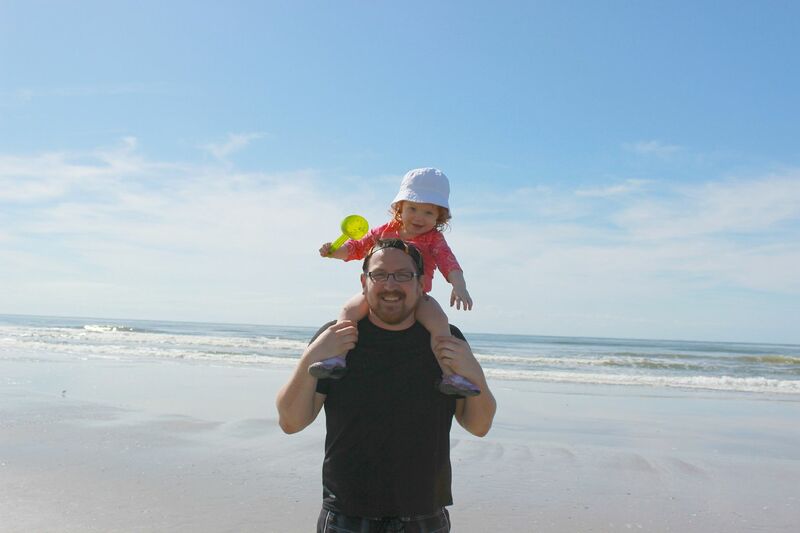 Our first beach day was quite a lot of fun. 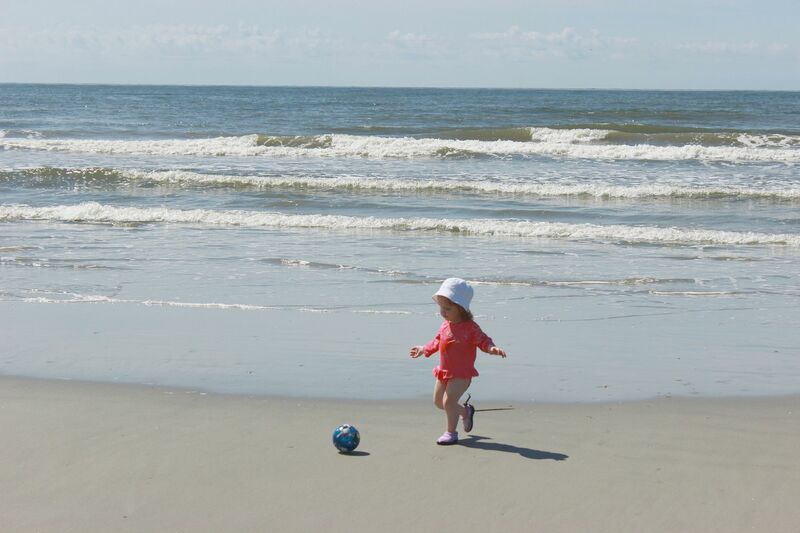 Baby K loved playing in the sand and running around kicking a ball with her daddy. 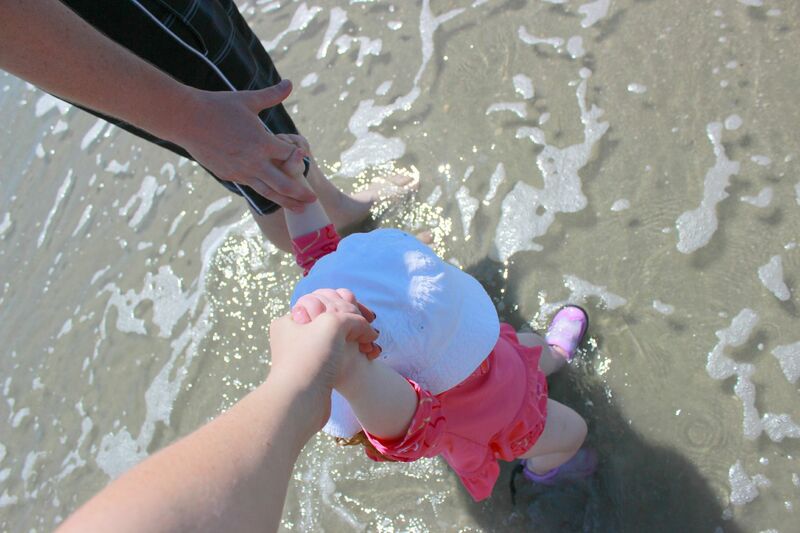 She was a bit timid getting into the ocean at first, but that was just because the water was a bit cool. 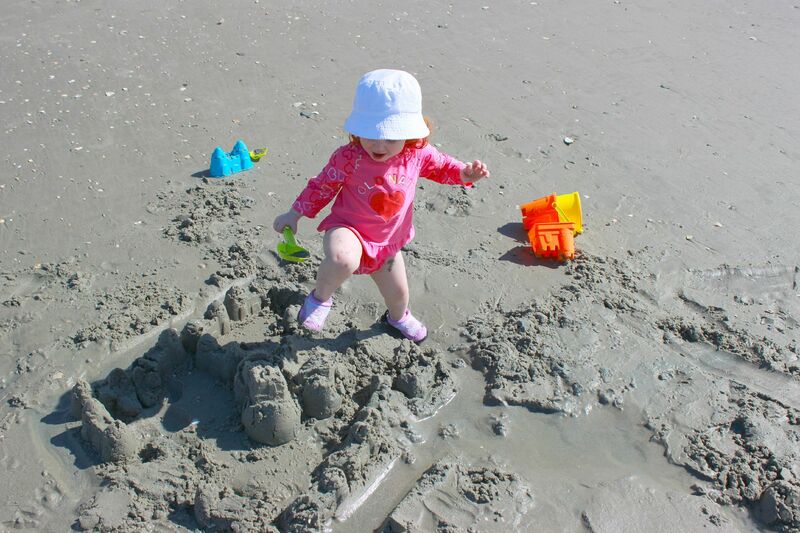 As the temperature rose and heated things up, she quickly decided that playing in the water was pretty fun too. And a great word of advice, go to the beach the week before Memorial Day. The beaches and roads are not crowded and the weather is still perfect!!! We will be making this a yearly habit. Can You Share Your Beach Tips With Me?